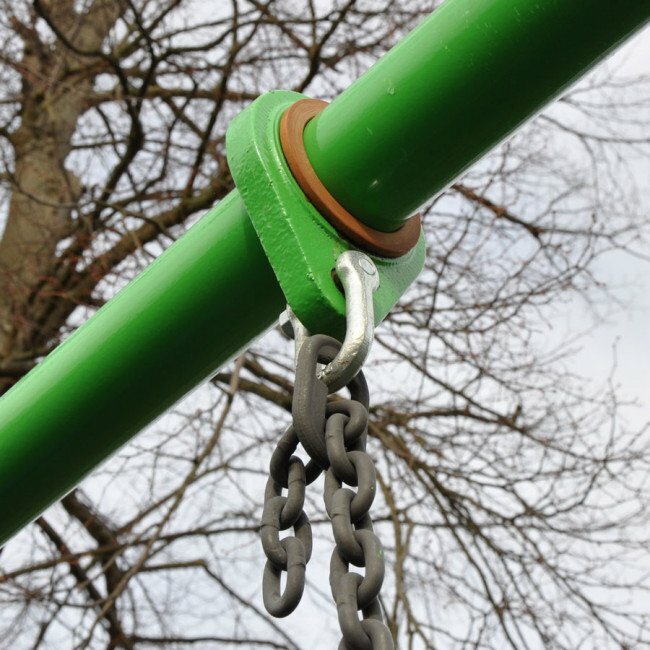 Replacement connecting "Keylinks" for adjustable swing chains often found on Wicksteed Playscapes swing frames. The links can be used to adjust 8mm swing chains so seats hang at the correct height. They are especially suitable where frame height do not fit standard length chains, and can be used in conjunction with our straight swing chains SWC4. 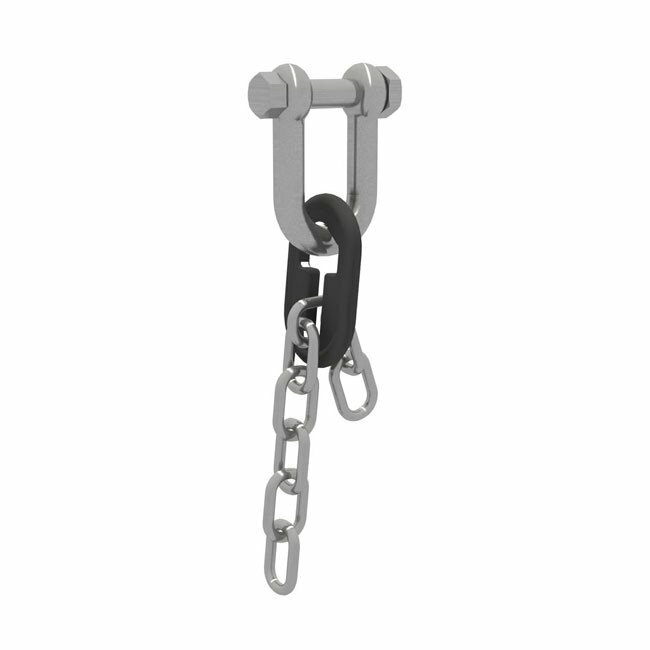 When using the connector at least 3 chain links should hang through the link, this prevents the chains being removed once they have been secured by the swing shackle. We recommend our range of 12mm shackles are used with the link - SW15. Our links are sold as a pair. 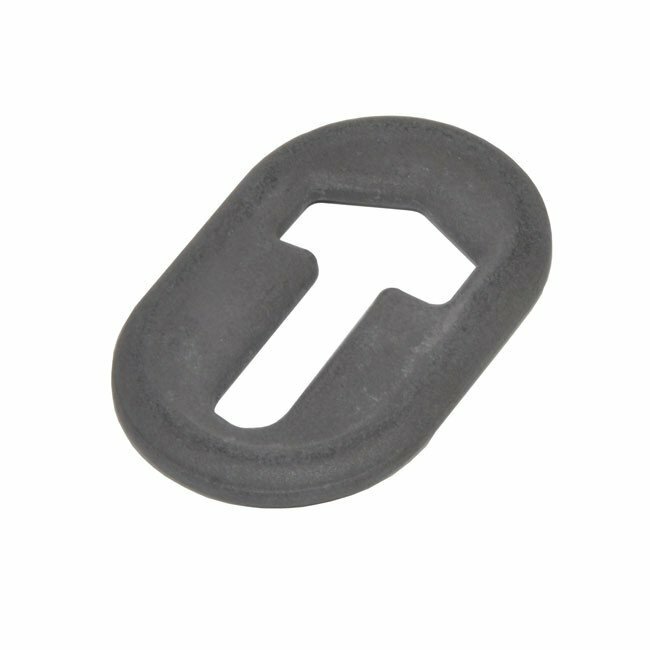 8mm Sheradised Mild Steel Short Pattern Link Swing Chain Compliant to EN1176 Available Per Metre.